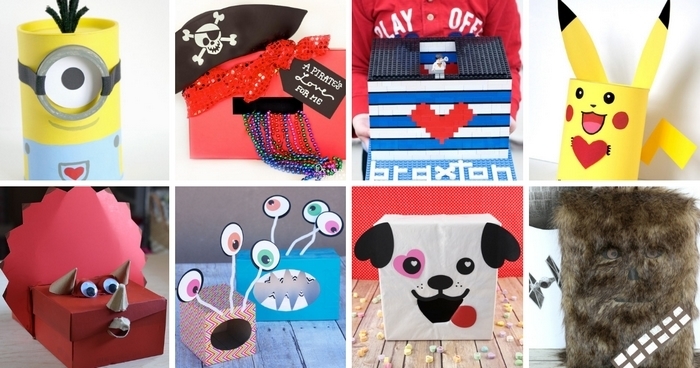 Home » Valentine's Day » 20+ Valentine Boxes for Boys for Valentine Party Fun! 20+ Valentine Boxes for Boys for Valentine Party Fun! 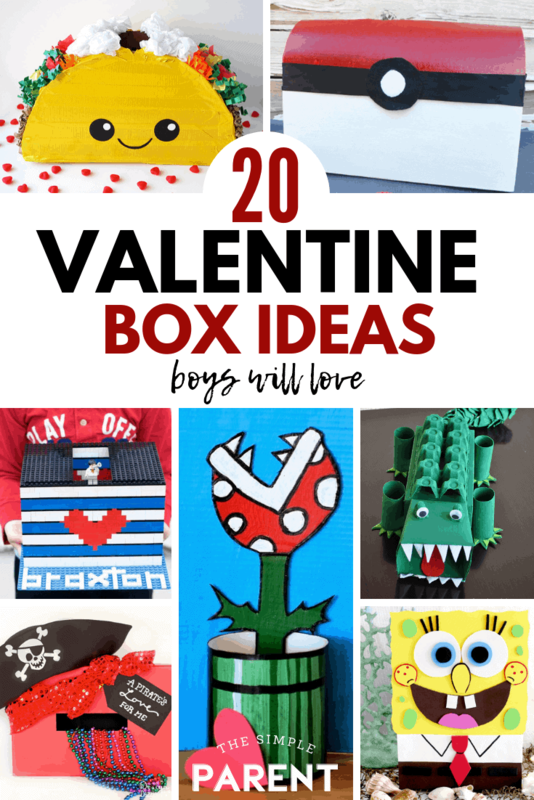 Valentine’s Day parties are right around the corner and that means I’ve been on the hunt for Valentine Boxes for boys because my guy likes to get creative but also wants his exchange box to have a “boy theme.” We gathered some of our favorite ideas that include many of his favorite characters and hobbies! If your kids like animals, monsters, dinosaurs, and sports — this list is for you! If they like those crazy Minions, live for Star Wars, or have a huge Lego collection, you’ll find ideas in our list of the best valentine day boxes for boys! 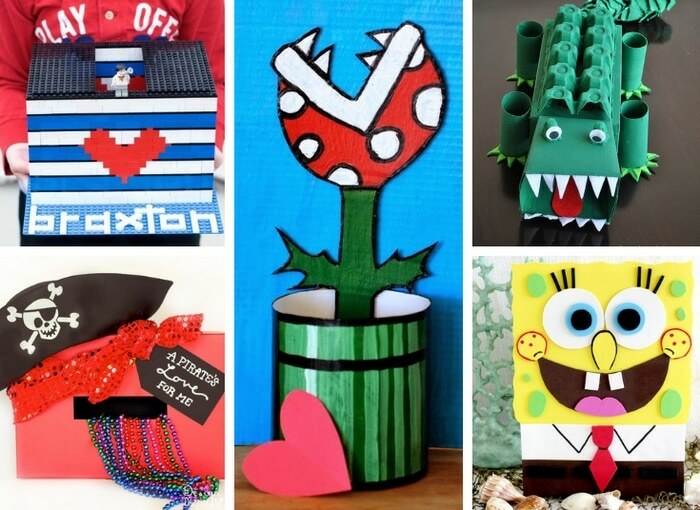 Valentine day boxes for boys don’t have to be all hearts and glitter. You can get as complicated as you want or keep it simple. But with a little DIY time, you can have a personalized Valentine’s Day treat box for your child’s party. I need to up my game this year because last year there were some amazing boxes at my son’s classroom party! You can make most of these ideas with either a shoebox or tissue box to make it easier. I even saw one of our local stores selling shoebox-sized boxes with a hole already cut in the lid which would work great for some of these decorating ideas! We haven’t decided which Valentine’s Day box idea he’s going to go with this year, but we’re slowly narrowing it down. If you’re looking for more fun Valentine ideas to do with your kids check out our list of list of Valentine’s Day activities for kids. You can make more Valentine’s crafts, fun sweet treats, and more! « Make Heart Shaped Cupcakes with This Easy Trick! Mariah, thank you so much for sharing my Valentine box! So many cute ideas here! Brings back memories for sure.